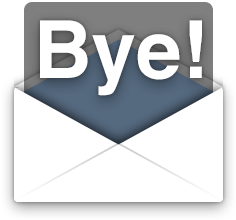 With the release of OS X Mavericks, we decided to discontinue Mail.appetizer. As we worked on an update for Lion and Mountain Lion, we realized that Mail.appetizer would have to be rewritten from scratch. The project's codebase dates back to 2003 and is no longer maintainable. Unfortunately we don't have the time or resources to rewrite it. We are really sorry about that. Thanks for your support and your feedback. The software is provided “as is” without warranty of any kind. Keep in touch by following @bronsonbeta on Twitter.